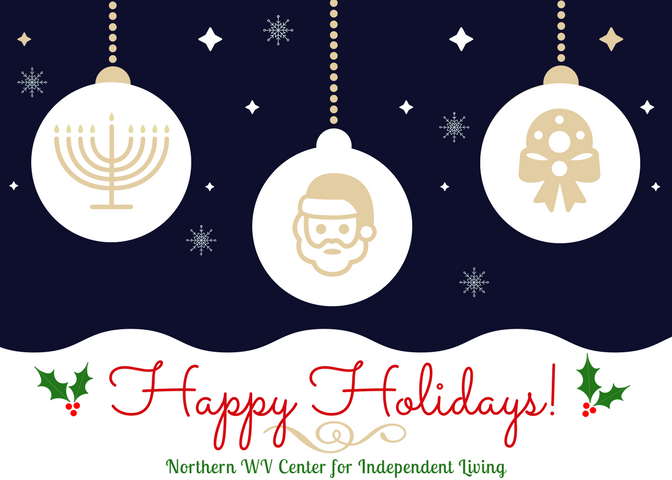 Happy Holidays from the Northern WV Center for Independent Living. We hope everyone has a happy and safe holiday season. NWVCIL will close for the holiday break at noon on Friday, December 22nd and will reopen on January 2nd, 2018. See you all in the New Year! Previous Post Congrats, Award Winners!